The Mariners extended their major league record by hitting a home run in their 17th straight game to begin a season. They’ve hit 38 longballs this year. 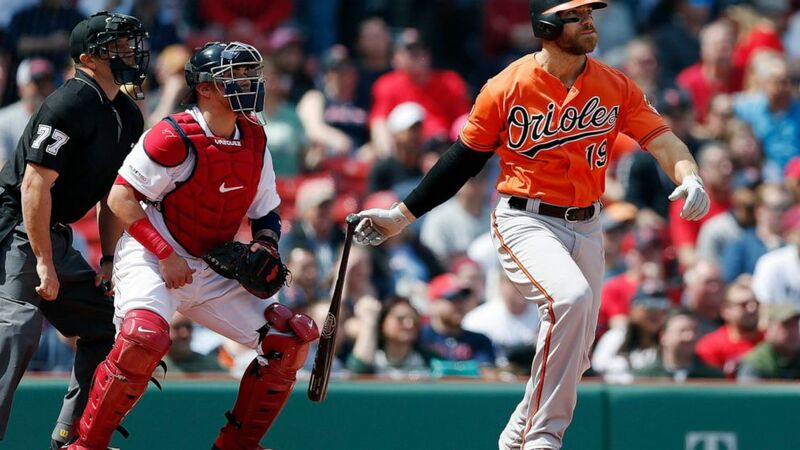 Chris Davis looked like the star slugger he once was, ending his record 0-for-54 slump with a single and two doubles in Baltimore’s 9-5 win at Boston. The two-time major league homer champ drove in four runs. “I don’t know what I’m going to do with it, but obviously something special,” he said.